In a recent poll released for data collected throughout 2010, around 20% of Canadians, mostly the poorest, don't have a regular broadband connection to the Internet. The survey was conducted by Statistics Canada and polled 30,000 households. Compare that to a February 2010 poll of Americans by the US Department of Commerce's National Telecommunications and Information Administration which found that almost 1/3 of all Americans "do not use the [broadband] Internet anywhere," including from home, the office or on the go from a wireless device. Other numbers aggregated by various other organizations which include obsolete dial-up access put Canadians beside Americans as almost identical patterns of Internet usage, with Canadians only above their southern neighbours by 0.04%. Among Canadians themselves, New Brunswick residents were the least likely to have Internet access (at only 70%) while the West Coast British Columbians were the most connected Canadians at an 81% likelihood. Meaning 30% of N.B. doesn't have Internet while 19% of B.C. didn't either. This site's readership has the highest concentration in BC. When it comes to how Canadians connected to the 'net, the majority still use desktop and laptop computers but less traditional wireless devices such as iPads and cell phones are contributing to a higher growth in non-PC usage. 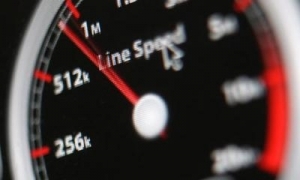 The CRTC has stated that their goal is to have all Canadians connected to high-speed broadband by 2012, but made several backwards steps earlier this year when they endorsed and then unfairly forced usage-based-billing on subscribers of small last mile providers, effectively making the subscription of a high-speed Internet service for some useless. Without going into the fact that wireless data rates in Canada are ridiculously among the highest in the world, Canadians are also likely to pay a much higher price for traditional broadband access, almost double, than Americans and much more than most European countries.